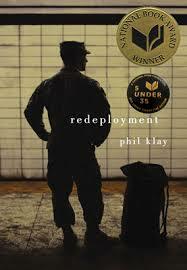 By now most of the Dartmouth community likely knows that Phil Klay's (Dartmouth ’05) Redeployment won the National Book Award for fiction. Adding my voice to the chorus of praise hardly seems necessary. But the book is so good that I can’t help myself. I study war and peace and the decisions national leaders make about the use of force, and I just want everyone to read this book. Klay is a marine veteran of Iraq and writes in the unmistakable voice of someone who knows what he’s talking about. Several former students who are veterans recommended it to me, saying that it cuts through the “thank you for your service” cant and captures soldiers’ experiences in Iraq and back at home in a way few if any nonfiction works can do. Indeed, Redeployment is testimony to the power of fiction to teach and explain in ways so much more efficient and lasting than the ponderous social science studies that are my daily fare.